Moo-Point was developed for the Sandbox Designs Competition and was awarded second place. 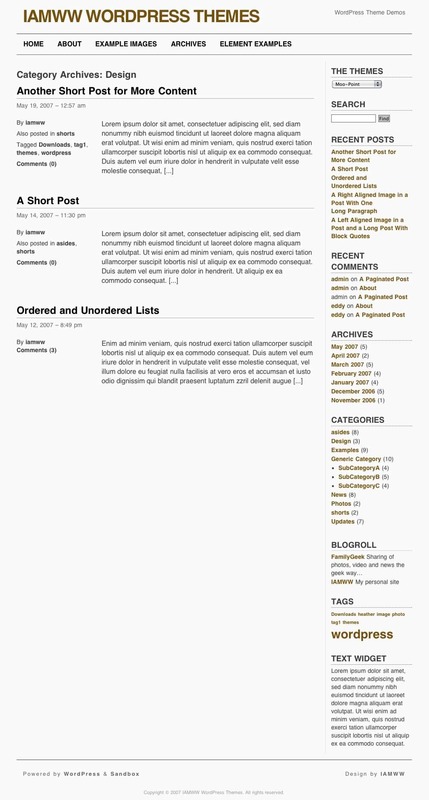 Moo-Point is built on a two-column layout with top navigation and a right sidebar. The theme is meant to be easy to read with shades of gray and brown for a little color. The design of Moo-Point is so simple, it is just like a cow’s opinion. It’s moo! Some may need to see this for a better understanding. 06.14.08 - v1.75 - Built on the latest version of Sandbox (v1.5.2). Added Gravatar support. Modified the styling of the navigation bar. 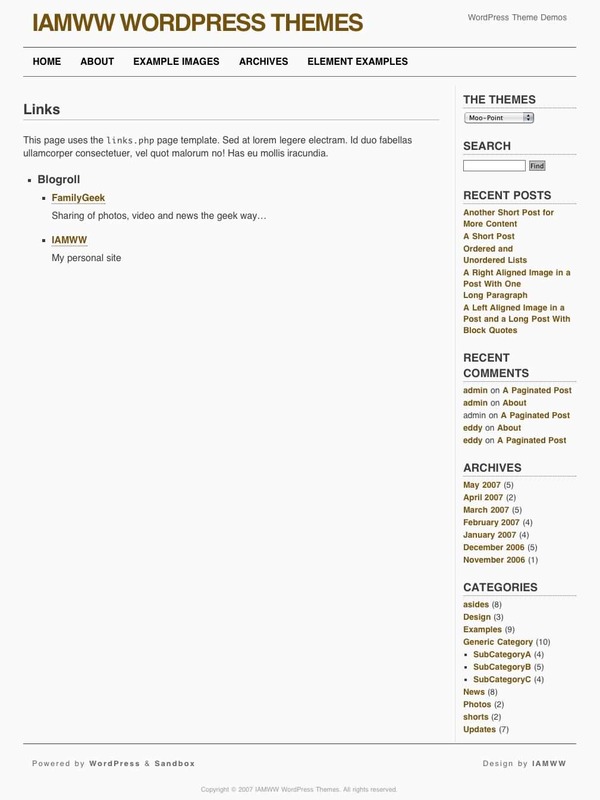 Changed the styling of the asides posts on the home page slightly. Adjusted the styling of the blockquotes. 11.04.07 - v1.5 - Includes tag support (WP 2.3) and Sandbox Version 1.0. 07.29.07 - v1.1 - First release. The Moo-Point design for Sandbox is licensed under the GNU General Public License. Please keep a link (either in the sidebar or the footer) back to IAMWW.com. There is no support provided for this theme. Download the latest version on Bitbucket.